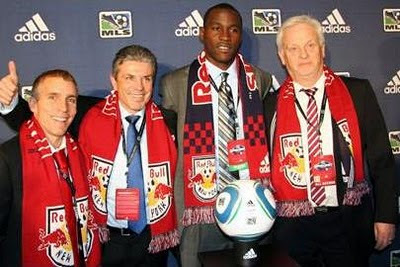 As expected, the Red Bulls drafted Tony Tchani with the #2 pick of the 2010 MLS Superdraft. This guy has been hailed as "the next Sharlrie Joseph", with one guy stating "He is a franchise player and the future of that team". We shall see. Altogether, the Red Bulls drafted five collegiate players from the seven picks the team started the day with. In an odd move, they traded the 31st and 48th overall picks to New England, for veteran defender Chris Albright. Unfortunately, Red Bulls Academy product Dilly Duka was selected by Columbus with the #8 overall pick. Alrighty then! You can find some video highlights of all the Red Bulls draftees by clicking here.